delicious. It will dress any salad that needs an extra hit of garlic! Garlic Mashed Potato Seasoning - ½ tsp. Mixing dressing in bowl and let stand (can be made in advance). 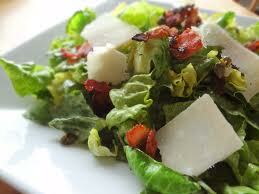 Toss dressing with romaine pieces in large bowl coating greens well. Add crumbled bacon and cheese. Toss.